While I was busy being knocked flat by a killer virus (OK it didn’t actually kill me, I just wished it would for a while) in the past few weeks both our major awards for crime writing announced their shortlists and one of them has even announced its winner. So, a belated congratulations to all the nominees. 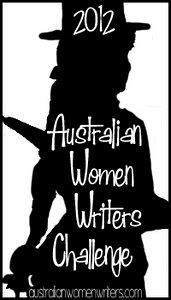 Though I’m not quite convinced Burial Rights really belongs in the crime genre, this is an exceptionally strong field showing the depth and diversity of Aussie women’s crime writing. 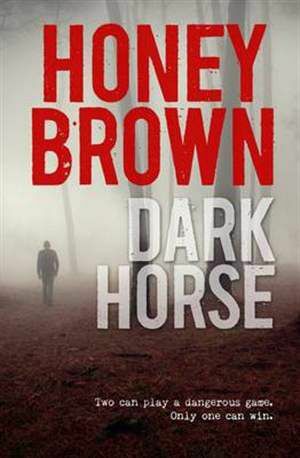 The winner of this award (announced last weekend) was Honey Brown’s DARK HORSE and it is a superb novel so congratulations to Ms Brown but I wouldn’t hesitate to recommend you rush out and procure all six novels. For pictures of the awards night and information about winners in the other categories head over to the Sisters in Crime website. For once I have read all the books on both the ‘best novel’ shortlists for the country’s major crime writing awards and find myself able to sincerely recommend each and every book. Yay for Aussie crime writers. Everyone is hooked on something. In another part of town, a notorious doctor is murdered in his surgery, and his entire stock of pharmaceutical heroin stolen. An unorthodox copper is assigned to the case, and Berlin finds herself a reluctant collaborator in a murder investigation. hounding her and, most urgently of all, where to find a new – and legal – supply of the drug she can’t survive without. 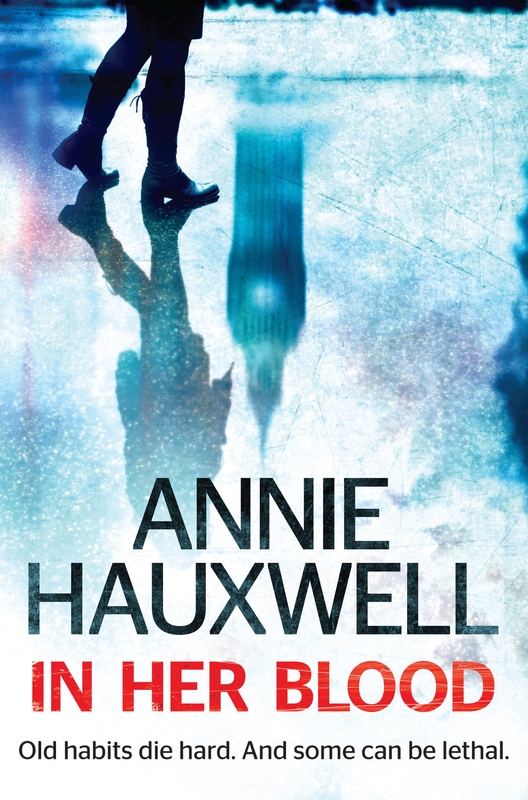 I love coming across new voices in Australian crime fiction and Annie Hauxwell’s first novel was well worth the read. Set in contemporary London it took me into a world I hadn’t visited before and set up some connections I hadn’t thought about before: an agency that investigates financial irregularities and outsources information to London police; a fraud investigator with a drug addiction; a very nasty loan shark with connections to regular finance; a doctor who dispenses heroin under legitimate licence; an anti-drugs campaigner who provides addiction counselling. At the centre of it all is Catherine Berlin, an unusual protagonist in a number of ways. The case conference with the Murder and Serious Crime Squad was perfunctory. The men at the table regarded Berlin with indifference. She was just a civilian investigator with a regulatory agency. At fifty-five her lean frame was tending to look wasted. Her hair, once blonde, was now a dirty melange of grey, streaked with tarnished gold. Annie Hauxwell has a real flair for description and her characters truly come alive. The other thing she does well is suspense and I found myself almost holding my breath as the book drew to its close and the final threads came together. Castlemaine, Victoria, and travels to London frequently. Annie Hauxwell’s debut novel achieves an interesting mixture of the genre’s familiar tropes alongside new themes and ideas and this is perhaps best demonstrated with the book’s protagonist, Catherine Berlin. Like so many of her crime fiction colleagues Berlin is flawed but not in a way I have come across before. She works for a London-based financial regulator and as the book opens she has met several times with a confidential informant who has provided anecdotal evidence that a man called Doyle is operating as a loan shark. Before she can convince her boss that the case is worth the Agency’s time the informant’s body is pulled from the Thames. To make matters far worse for Berlin there is another, seemingly unconnected murder, of a London doctor. Berlin’s connection to him is that he provided her with the daily dose of heroin she, a registered addict, cannot live without. With only 7 doses left Berlin desperately teams up with dodgy coppers and other nefarious types with the ultimate goal of finding another, regular source of her drug of choice. Preferably a legal one. Berlin is not an easy character to like but I found her very compelling. She is brusque in her manner and unwilling or unable to play office politics so has few friends in her workplace. But she is intelligent and wants to uncover the truth in the two investigations even though she worries that something she did or said led to her informant’s death. Of course she must balance this desire to work out what happened with her need to secure another source of her drug and Hauxwell does a good job of always leaving the reader wondering just how far Berlin will go to that end. It was hard not to respect Berlin in the way she refused to buckle under to the conventional wisdom of how she should deal with her addiction. She believed she had her addiction under control and as it was only when her legal supply dried up that she turned to desperate measures her point was, I suppose, proven, though I’ll admit my liking for this particular aspect of the book may stem from my personal beliefs (that all drugs should be legalised*). The plot here is quite complicated and at a couple of points I thought the book might be going to spiral into totally unbelievable territory but in the end it was held together well and the various crimes were shown to have quite prosaic roots, as most crimes do. Along the way readers are treated to a great pool of potential suspects which includes crooked cops, London gangsters and a few family members. I particularly enjoyed the parallels Hauxwell manages to draw between old-fashioned London loan sharks and the more recent near-criminal activity that resulted in the global financial crisis. IN HER BLOOD is fast-paced, taking place across the seven days of Berlin’s drug supply, and satisfyingly complex. Its cast of characters are for the most part shades of grey rather than the black and white good guys and bad guys of a traditional mystery but their exploits are realistically depicted and Berlin in particular demands your attention if not a warm emotional connection. Overall I found this an engaging book that offered something new and I’ll be keen to read whatever the author releases next. *I don’t for a moment think that heroin or similarly ‘hard’ drugs are harmless but I see no evidence that them being illegal makes the world a better or safer place for anyone. It certainly doesn’t stop people using them. I could bang on about this particular subject for hours but this is not the place. Annie Haxwell was born in England and emigrated to Australia as a teenager with her family. She has worked in the law, as an investigator and as a screenwriter and lives in Castlemaine, Victoria.